Earlier, you've seen how you can change the size of the avatars in blogger comments and now I will show you how to change or customize the default avatar of anonymous commenters or Blogger users with no picture on their profiles. 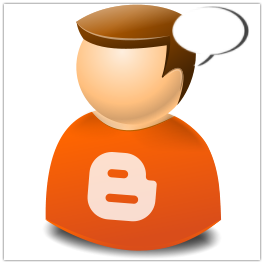 While Blogger announced the new threaded commenting system, we can still customize it by adding a jQuery plugin to our template and then replace the default anonymous avatar that can be found on this address: http://img1.blogblog.com/img/anon36.png and the one for blogger users: http://img2.blogblog.com/img/b36-rounded.png ...with our own. For Blogger users: Replace the URL in blue with your own. That's it! If you found this trick useful, please consider sharing it. Interesting article for add your own avatar on blogger. I like it. Please, comment on my blog!!!! Niche post, I like your interesting post!!!! FINALLY a way it works! I have been trying the whole day with LOTS of different tutorials, none of them worked! I.LOVE.YOU. how can i change default blog owner display name in comments like yours? Your are displaying 'Admin' instead of original blogger account name. Thanks for the post and the HTML code. Thank you, this helped me! That's So interesting article, keep it up. thanks! this is useful. I've changed the avatar of my comment form. I'm having the same problem. Copy/Pasted your links and URL's and isn't working. Hmmm, wondering if it only applies to future comments rather than previous? Great tutorials BTW - finding your site VERY helpful. Sorry, I forgot to mention that this works only for threaded comments (with reply button) ! 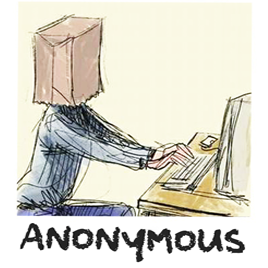 But you can still change the anonymous avatar on single level commenting -> please try to apply the trick from here. Worked like a charm! Thanks, man! Glad it worked for you :) Thanks for stopping by. I like it! Thank you :D I will try this on my blog. Thanks, I didn't know you could do this, is it possible to change the favicon size? do you know how change openID icon? Hey, like it! Thank you . I will try this on my blog.